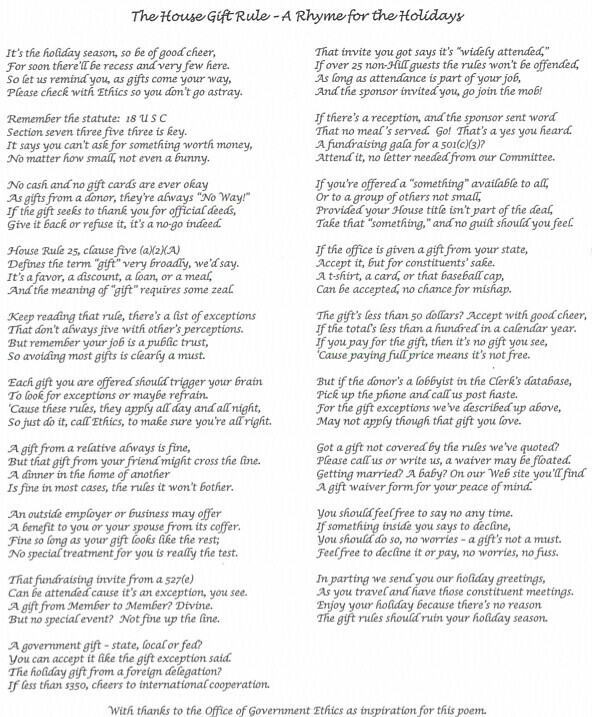 Holiday poem about congressional gift rules will restore your faith in Christmas. Peace on Earth, good will toward lobbyists. An amused source sends along this poem, which was appended to an actual memo of ethics rules sent to Hill staffers. It really sings, doesn’t it?